As of June 30, the endowment was valued at $1.63 billion, up from $1.46 billion on June 30, 2017. During the 2017-18 fiscal year, the College spent $63.2 million from the endowment, of which $29 million—46 percent—went toward financial aid. Another $16.5 million in gifts was added to the endowment. According to the investment consulting firm Cambridge Associates, the median endowment return for colleges and universities was 8.3 percent this past year. 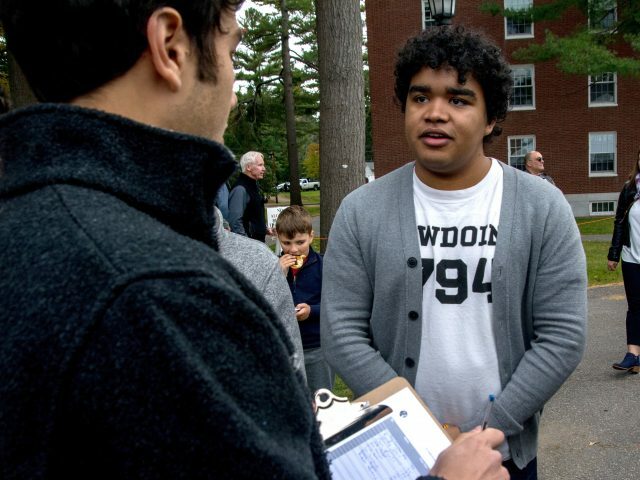 Bowdoin’s endowment return was nearly double that figure. 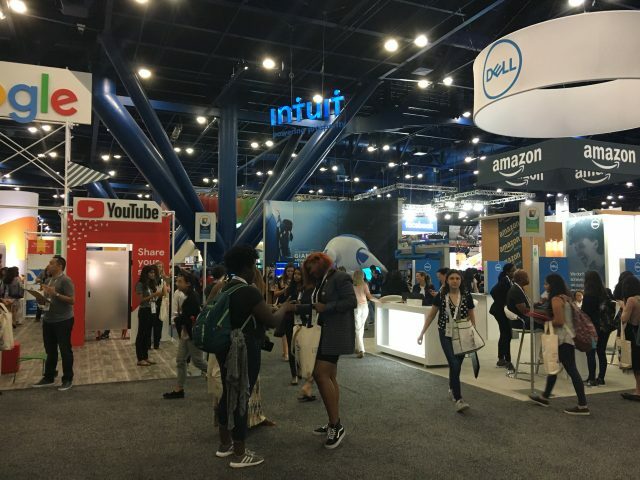 Other top performers included Princeton University, which announced a 14.2 percent return, and the Massachusetts Institute of Technology with a 13.5 percent return. In a press release, President Clayton Rose highlighted the importance of endowment growth to the College’s need-blind admissions practice, noting that Bowdoin is one of only 18 colleges and universities that neither considers students’ ability to pay during the admissions process nor requires loans as part of a student’s financial aid package. “We use these resources every day to support nearly every aspect of our mission—to innovate and improve, to make long-term commitments, to fund our operation, and mostly—and most importantly—to ensure access to a Bowdoin education for low- and middle-income families,” he said. 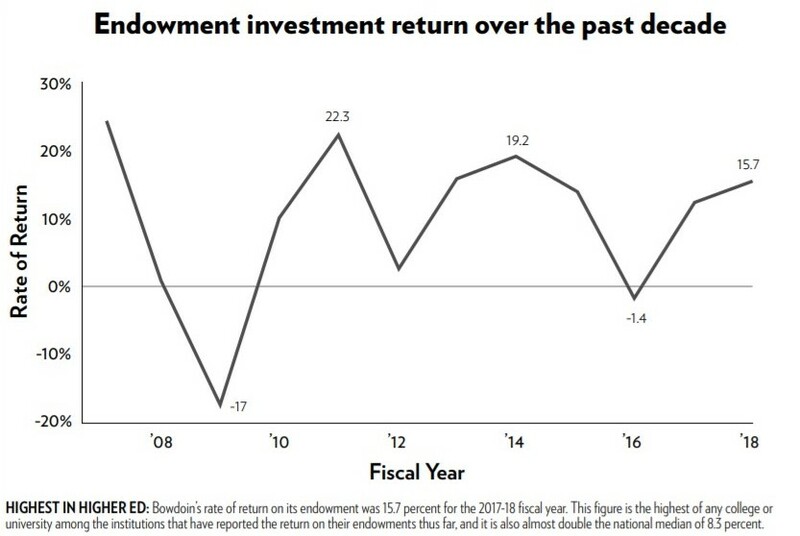 The endowment’s three-year annualized return rate now sits at 8.6 percent, with a five-year return of 11.8 percent and a 10-year return of 8.8 percent. All three figures are above the median for American colleges and universities, according to Cambridge Associates. This year’s returns are not subject to the endowment tax, which was passed last December. The law levies a 1.4 percent tax on the net investment income at private colleges and universities with endowments worth at least $500,000 per student. 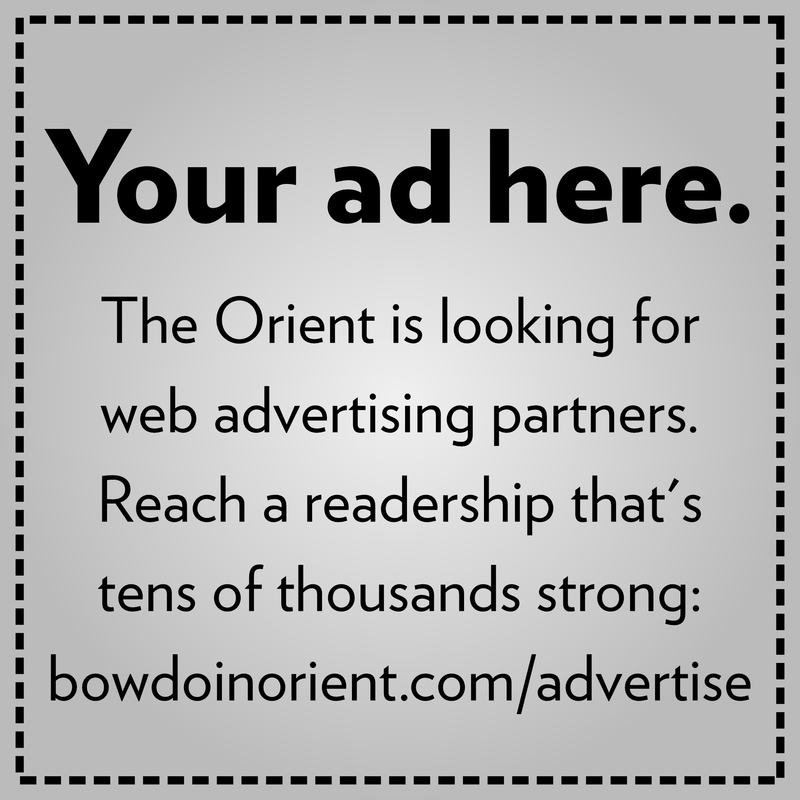 Bowdoin—with an endowment worth about $900,000 per student—will be affected by this law. It will take effect for the current fiscal year’s returns. Volent said the College is still learning how it will file under the new tax code and the magnitude of the subsequent effects on the endowment. “We’re active in a group that is figuring out how that is going to work,” she said.